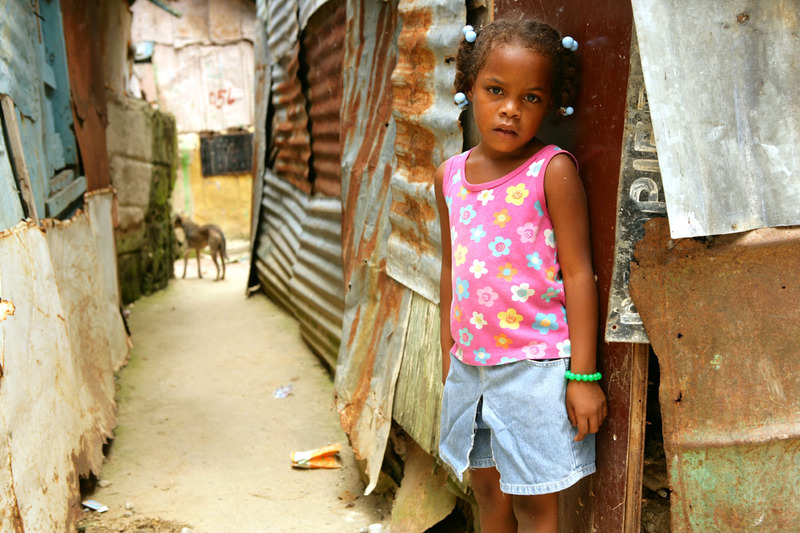 A young girl in front of her home in the La Lata neighborhood, on the banks of the Ozama River in Santo Domingo. The area contains more than 200 squatter houses with as many as ten people in each house. Homes are cobbled together with rusted pieces of metal, and have no plumbing. Raw sewage runs through the streets, and the neighborhood frequently floods when the river rises.